One of my favourite maths topics to teach, probability allows for a lot of experiments, hands-on games and discussions. A jigsaw puzzle made up of simple probability questions. Great for revision purposes or group work. 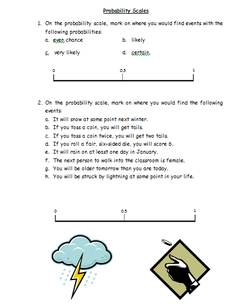 A worksheet about using probability scales. 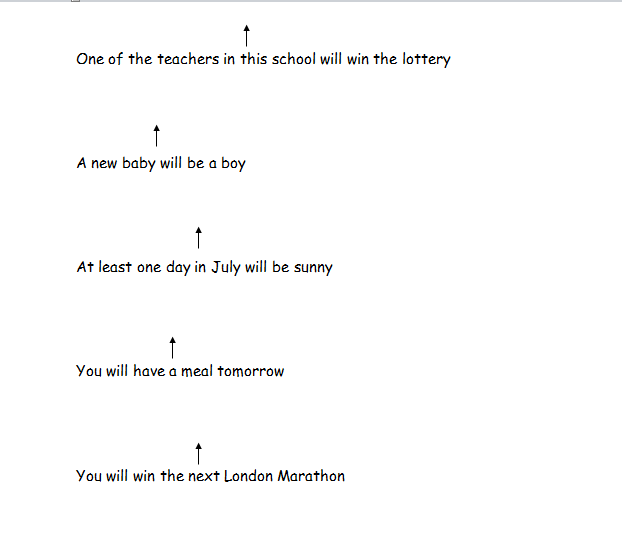 Pupils need to mark events onto the correct place on the probability scale. 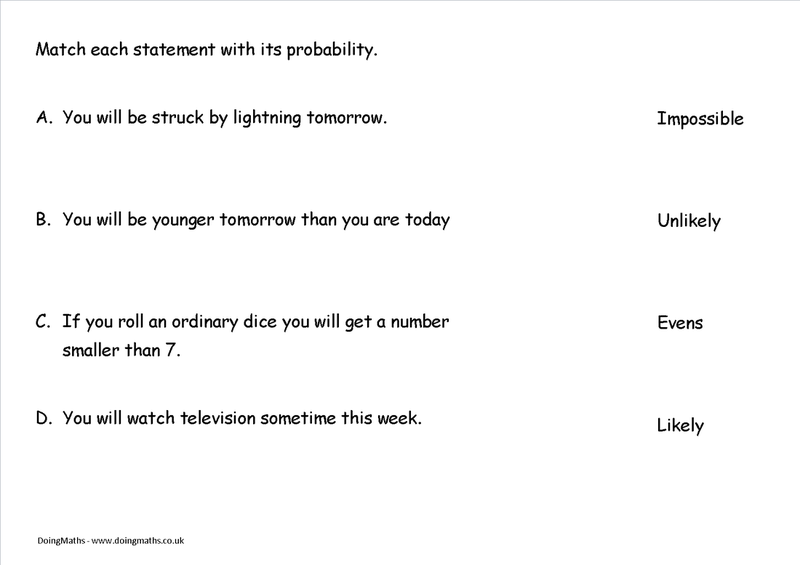 A quick starter activity for pupils to match the statement to the correct probability work. A printable probability scale, labelled with probability words and 0, 0.5 and 1. A selection of statements designed to be placed on the probability scale above. 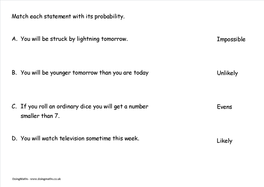 Simply print out an A3 version of the probability scale, cut out the statements and ask students to place each statement where they think it should go on the line. ​This also includes some blank statement arrows for students to create their own probability statements. A tricky worksheet focussing on mutually exclusive probability using the 'and' and 'or' rules. Great practice for students who need a bit more stretching with their worded probability work. 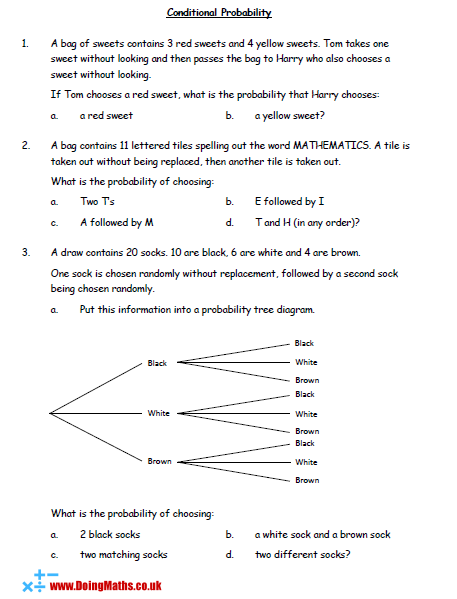 A worksheet containing questions on conditional probability including the use of probability trees.